Pi Approximation Day is observed on July 22 (with 22/7 reflected as the day/month in date format), the fraction 22/7 is a common approximation of π — accurate up to two decimal places (3.14). In honor of Pi Approximation Day we've compiled 3 of our best-selling Pi topic issues from our archive. 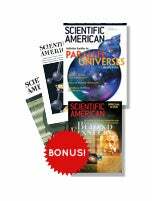 Plus a FREE Bonus Issue: Beyond Einstein.